Cardi B is at the top of her game. 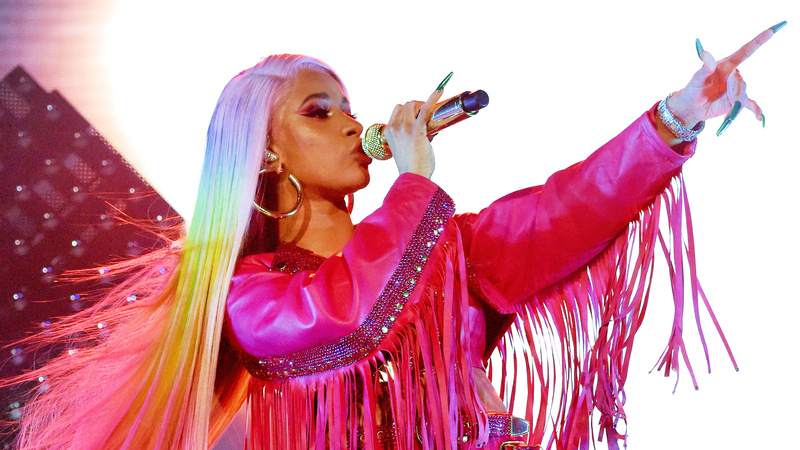 The rapper is currently nominated for five Grammy Awards, she’s consistently broken records (even toppling Beyoncé for one), and she’s doing it all while parenting her daughter, Kulture. But not everything is rosy all of the time; Cardi B struggles with postpartum depression something fierce, she revealed recently. Postpartum depression affects about 1 in 9 women nationally in the United States, according to the Centers for Disease Control and Prevention. Those rates, however, can be higher depending on age, race and state. The signs can include prolonged feelings of sadness, anxiety, guilt and hopelessness. Additionally, some women may experience suicidal thoughts. In the past, Cardi explained on Instagram that she’d been feeling “emotional” and like her body was no longer the same. While these feelings may be uncomfortable, they’re not always permanent. The CDC recommends talking with a doctor once the symptoms arise to find an individualized treatment plan (these can include talk therapy and medication). For Cardi, limiting her time on social media has been helping. While we’d miss Cardi’s candor on Instagram and Twitter, it’s so much more important that she takes the time she needs to feel grounded and connected to her daughter. And if her honesty about PPD helps her and resonates with some of her fans, more power to her.